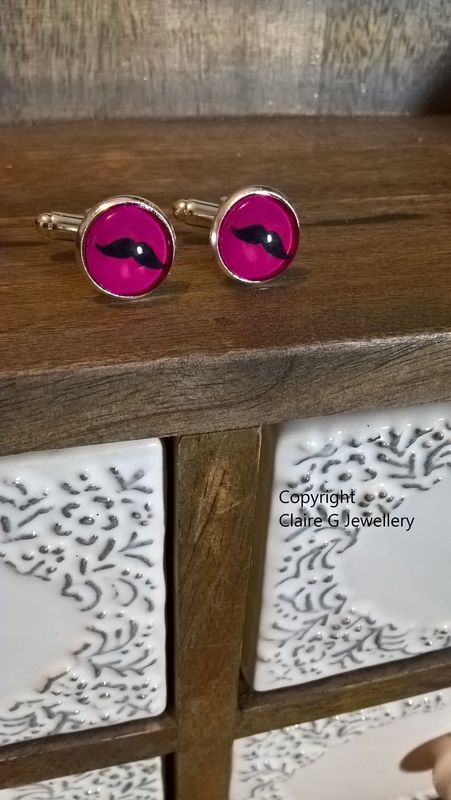 <\/u><\/b>This is a great design of a black moustache with a deep pink background on a small cabochon attached to a silver tone cufflink blank. This would be perfect for a someone with a moustache, a barber\/hairdresser or maybe even someone that wears lighter pink\/pastel coloured shirts. It is a unique item, so not something you'll see in the high street - perfect as a gift for a loved one or to treat yourself. Main colour\/s of cabochon design<\/u>: Black and deep pink. Colour\/style of Cufflink blank<\/u>: Silver coloured plated alloy. 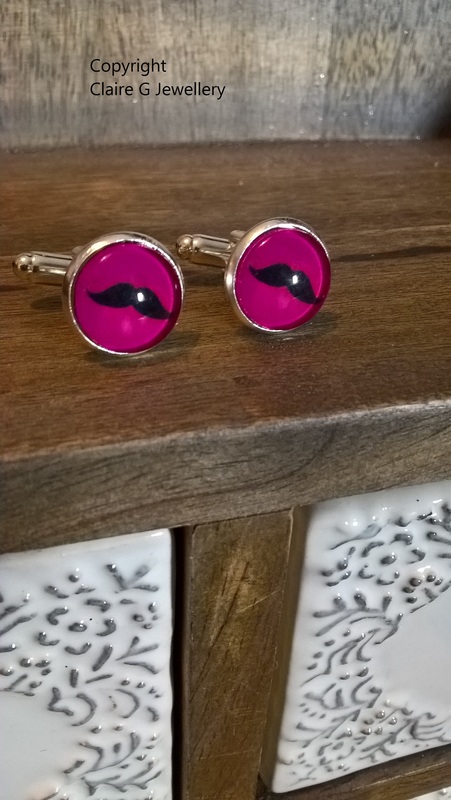 This is a great design of a black moustache with a deep pink background on a small cabochon attached to a silver tone cufflink blank. 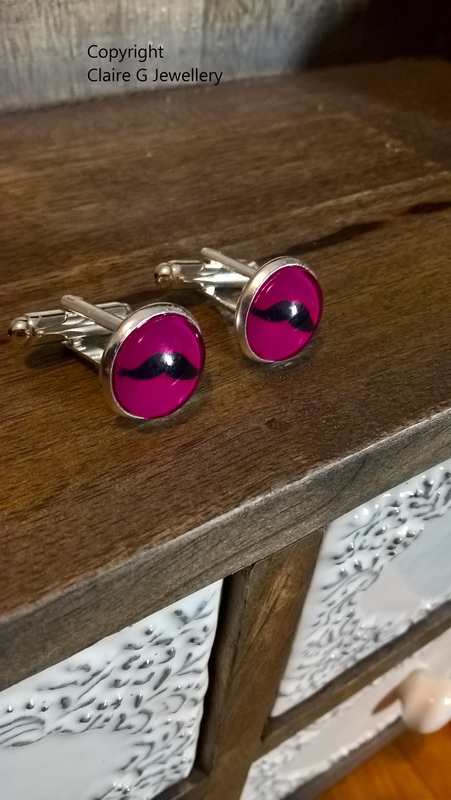 This would be perfect for a someone with a moustache, a barber/hairdresser or maybe even someone that wears lighter pink/pastel coloured shirts. It is a unique item, so not something you'll see in the high street - perfect as a gift for a loved one or to treat yourself. Main colour/s of cabochon design: Black and deep pink. Colour/style of Cufflink blank: Silver coloured plated alloy.